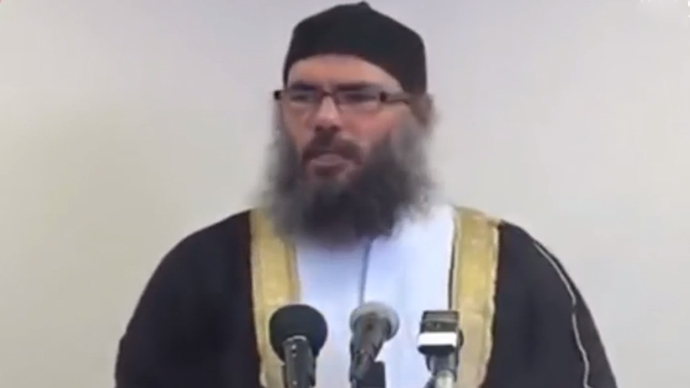 An extremist preacher with links to Jihadi John and the Muslim Brotherhood is living freely in London, as the UK government cannot deport him due to the Human Rights Act. Hani al-Sibai, 54, is believed to have influenced and radicalized a number of young men, including Islamic State (IS, formerly ISIS/ISIL) executioner Jihadi John, whose real name is Mohammed Emwazi. Despite being identified as an affiliate of al-Qaeda, attempts to deport him from the UK have been blocked for more than 15 years because of his human rights. Other associates of al-Sibai are Adel Abdel Bari, another Egyptian-born jihadist and al-Qaeda operative who was sentenced to 25 years in prison in the US for a number of terror plots. Bari’s son Abdel-Majed Abdel Bary, a former London rapper, is known to be fighting with ISIS in Syria. Al-Sibai came to the UK in 1994 and claimed asylum. He admitted he worked as a lawyer for Islamist groups, including the Muslim Brotherhood, and said he was tortured in Egypt because of his work. After his application was denied, he awaited deportation in 1998. However, because of human rights laws, which state that it is illegal to deport an asylum seeker to a country in which they may be tortured or murdered, his deportation was blocked. Since the UK couldn’t get assurances from the Egyptian authorities that al-Sibai would receive a fair and just treatment, he has remained in the UK ever since. Although he was added to the UN’s al-Qaeda sanctions list ten years ago, he still has temporary leave to remain in the UK. Last year, al-Sibai went to the European Court of Justice in a bid to get his status as an al-Qaeda affiliate removed and to regain access to bank accounts – using public funds for the court case. It added: “He has travelled internationally using forged documents, he has received military training and has belonged to cells and groups carrying out terrorist operations using force and violence involving intimidation, threats and damage to public and private property, as well as obstructing the activities of the public authorities. Robin Simcox, research fellow at the Henry Jackson Society and co-author of ‘Islamist Terrorism: The British Connections,’ told the Telegraph: “The US Treasury has listed al-Sibai as an al-Qaeda associate and outlined his connections to the Egyptian Islamic Jihad, yet the UK has been powerless to deport this dangerous individual. British Prime Minister David Cameron has pledged to scrap the Human Rights Act and replace it with a home-grown British Bill of Rights if his Conservative Party is re-elected in May. He has also vowed to limit the power of the European Court of Human Rights. Following the policy announcement last October, Kate Allen, head of Amnesty International, denounced the PM’s proposal, emphasizing the Human Rights Act has historically been a bedrock of social, legal, and economic protection. “It’s disappointing to hear the PM vowing to scrap the Human Rights Act when it has done so much good. We should be defending it,” she said.